The Journal of Neuroscience has issued a retraction for a Memorial University paper that was published in the Sept. 27, 2006, issue. The article, “Bidirectional Dopaminergic Modulation of Excitatory Synaptic Transmission in Orexin Neurons” by Christian O. Alberto, Robert B. Trask, Michelle E. Quinlan, and Michiru Hirasawa, was found to have illustrative errors in two figures. One error was an unintentional duplication of electrophysiological traces shown as an example of the experiment and the other error was in the x-axis labeling of the graph. 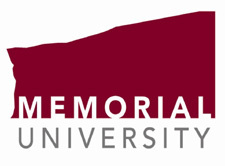 Memorial University of Newfoundland conducted an investigation, which concluded that these errors were unintentional and affected neither the conclusion of the specific experiments shown in the figures nor the overall conclusion of the paper. No disciplinary action was taken against the authors. No other papers have been retracted. Memorial University is committed unequivocally to integrity in research. To this end, the university has stringent policies and procedures in place to protect research integrity, and we initiate prompt investigations into any allegation of misconduct in research. We’re glad to have more detail on the reasons for the retraction. But if these results were truly unintentional, this seems like another good argument for more detailed retraction notices. Does “misrepresentation” sound unintentional? If the Journal of Neuroscience agrees with the conclusions of the Memorial report, why not include the word “unintentional” in the notice? This is contradictory information. If the errors were “unintentional and affected neither the conclusion of the specific experiments shown in the figures nor the overall conclusion of the paper” as Memorial claims, then why did the journal then state that there was “substantial data misrepresentation” to the extent that the paper’s “results cannot be considered reliable”? Perhaps Memorial can issue another statement of attempted clarification? No, I don’t think it is. If the data IN the paper cannot be considered reliable, regardless of conclusions that might otherwise be made using all the data in the world, or perhaps the lab’s possession, then the editor might have chosen to retract the paper regardless of other statements, because the editor has concluded that the errors render the process unreliable as a process, regardless of the science- which is the editor’s prerogative. Additionally, the investigation may have concluded that the errors misrepresented some quality of the data regardless of what the overall conclusion might be. It is good that the university released a statement. The issue is, once a committee makes a conclusion that errors were unintentional- meaning they are attempting to discern intent- which is very difficult, internet chatter will probably just conclude that the investigation is a coverup, and reputations will be in shambles. These are some tough issues. Not all cases are like the 172 paper possible retraction one. This makes no sense. Either the work is reliable or not. Memorial appears to be attempting to claim it is, whereas the journal states it is not. And given how Memorial is spending my Canadian taxpayer dollars, they are – or at least should be – under a legal obligation to reveal absolutely all details of the case to the public. The tough issues on these cases are the problematic administrators ‘running’ our post-secondary institutions – nothing more, nothing less. Privatize the entire system. Let this nonsense occur on someone else’s dime. “Reliable” is a judgement call. It is not an “is” situation. “Reliable” may relate to the data in the paper versus the overall data versus the process versus whatever, so it is not a cut and dried as you might wish, or maybe it is to you but we might not agree. Privatization of basic research would be ridiculous in the extreme, but that is neither here nor there for this discussion. There are clearly differences of opinion on a number of issues I think. Reliability is not a judgement call. It is a foundational component of objective science. Give us some examples of judgement based reliability that are not objective (i.e., prove to us that “reliable” is not an “is” situation). Clearly some differences of opinion between us on the accountability of universities to the taxpayers. If researchers want taxpayer support, then they can be fully accountable to any and all taxpayers. This study cost money, and we (i.e., the public) are entitled to answers. Of course, one of the authors of the study in question (or a university representative) could come on this site and answer our questions? Strange how that rarely, if ever, happens. So, we have a situation whereby a group of researchers from a major Canadian institution have a paper from a reputable journal formally retracted even though the “errors were unintentional and affected neither the conclusion of the specific experiments shown in the figures nor the overall conclusion of the paper.” Why not just issue an erratum? Indeed, the errors as so described by Memorial would suggest that the erratum itself should be both trivial to write up and of minor consequence in the literature. Why retract an entire study? Why would the journal pursue such a blunt instrument when the errors were so trivial and unintentional? Seems bizarre, don’t you think? In fact, if the errors were so trivial and unintentional, then this journal must retract any and all other studies with minor errors, rather than issuing errata, in order to maintain a consistent precedent. Oh, wait, I see Corrections being regularly published in this journal. That’s odd, why not retract all papers having “errors [that] were unintentional and affected neither the conclusion of the specific experiments shown in the figures nor the overall conclusion of the paper”? Perhaps I need to go find a bus and fall off it in order to accept the situation as described? Yes, that must be it. Where is my tinfoil hat when I need it? Agreed – why wasn’t a correction published instead??? Hmmm. I am actually surprised that Memorial has made a statement about this case. Try Queen’s University in Kingston, Ontario and you will find out that despite a series of high profile official retractions, the university administration has chosen to remain silent on the issue. Some of the retractions were covered earlier by Retraction Watch.